Dave Kress, author of the novels Counting Zero, Martians, and Hush joined Mark Seinfelt last week to discuss the work of Thomas Pynchon on Mark’s “Word Patriots” webcast. 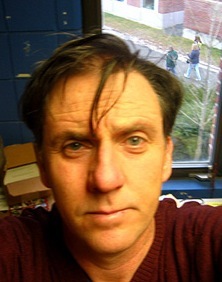 In addition to his works of fiction, Dave served as contributing editor for the edition of Harold Bloom’s Major Novelists Comprehensive Research and Study Guides devoted to Pynchon. The volumes of this series are designed to present biographical, critical and bibliographical information on the author and critical analysis of the writer’s most important works, tracing significant themes, patterns and motifs in each work as well as providing an annotated list of characters in the author’s books. Listen to the program: Kress Discusses Thomas Pynchon.